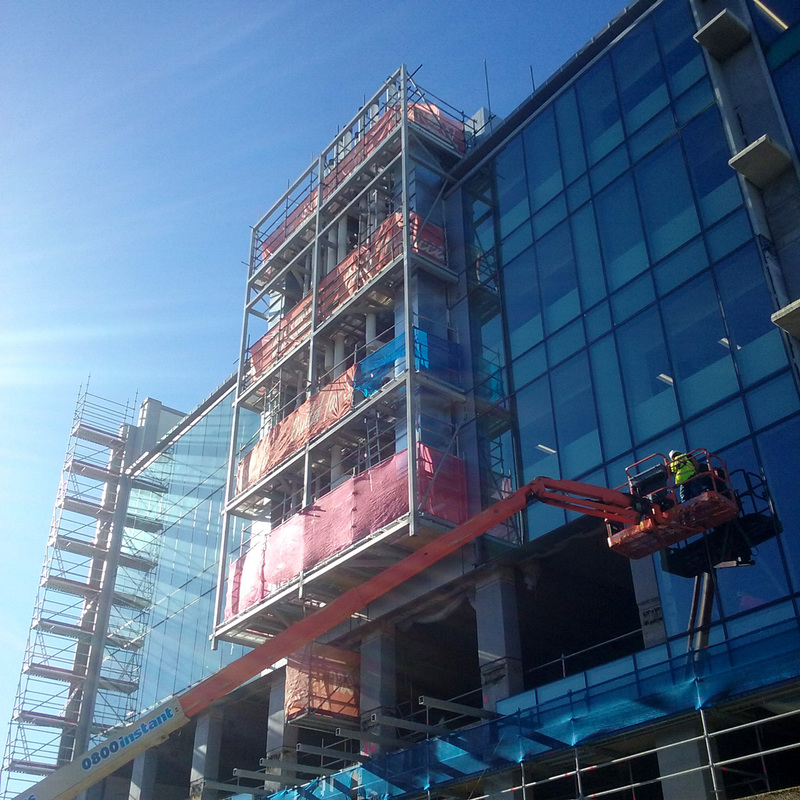 The curtain wall glazing is ongoing at the Plant and Food Hamilton building in Mt. Albert, with level three now underway. The new services configuration can be seen here also, with a ‘saddle bag’ dropping down the side of the building, this will be finished with a perforated aluminum screen. 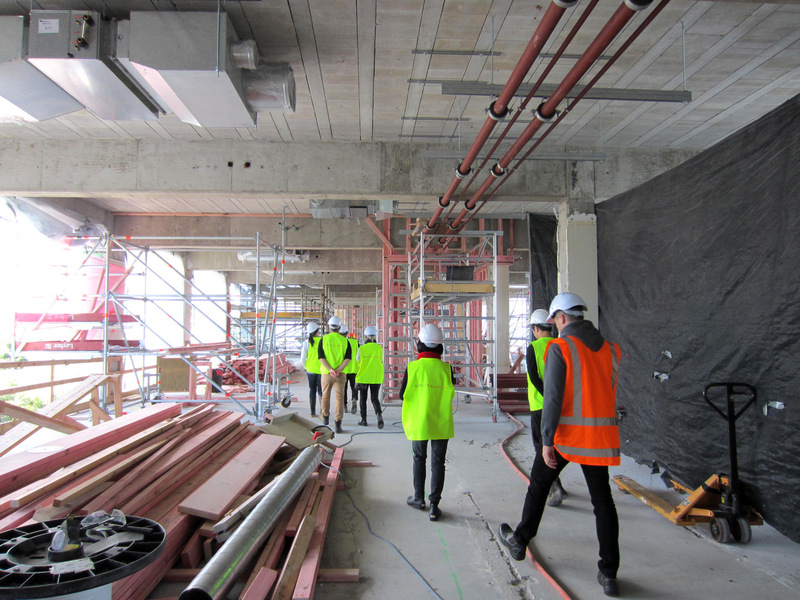 The Hamilton building refurbishment is progressing at Plant & Food Research’s Mt. Albert Campus. 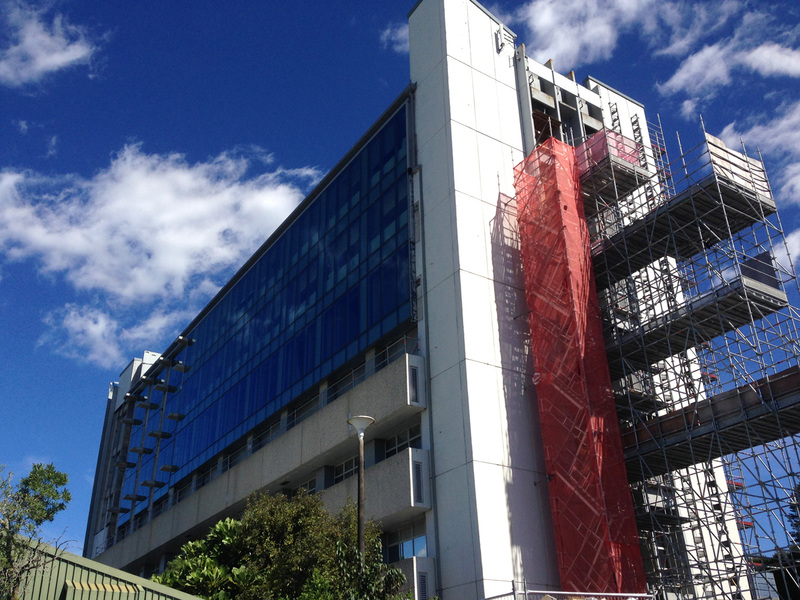 Three levels of curtain wall glazing are complete! 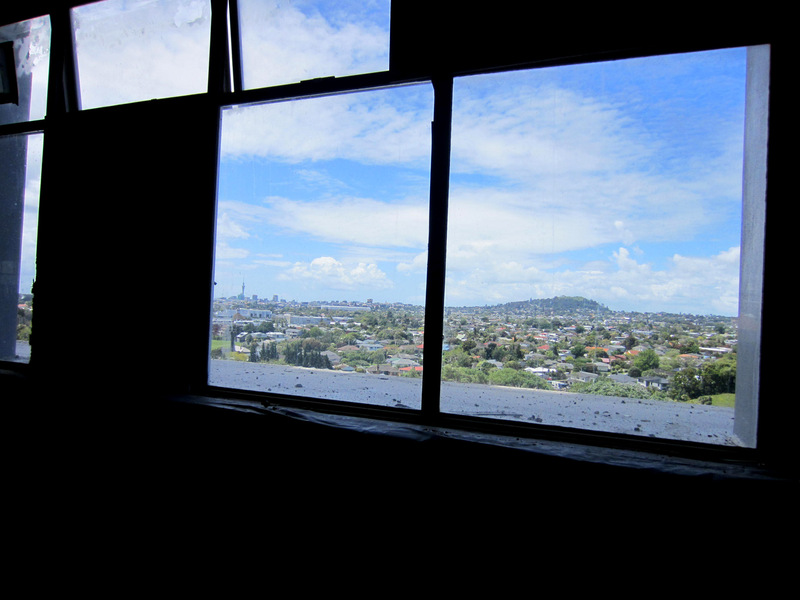 Simon Devitt captured this great shot of the Hamilton building at Plant and Food Research, where refurbishment is ongoing. 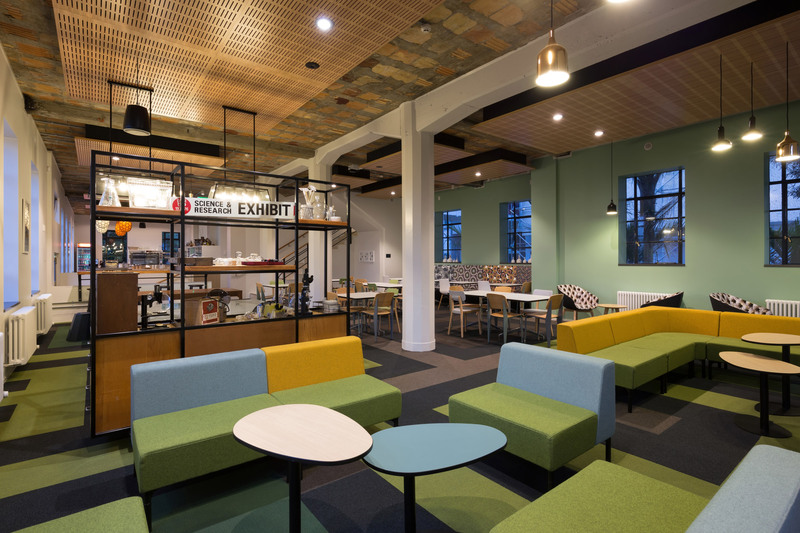 The Cunningham building refurbishment at Plant and Food Research took out the Resene Commercial Interior Office Award at the recent Resene Colour Awards, congratulations to the talented interior designers Creative Spaces. 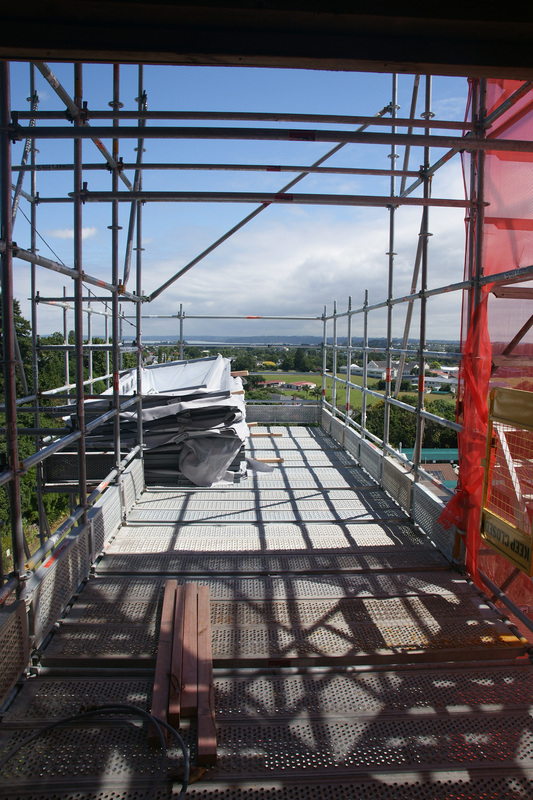 The refurbishment of Plant and Food Research’s Hamilton Building in Mt Albert is making great progress. 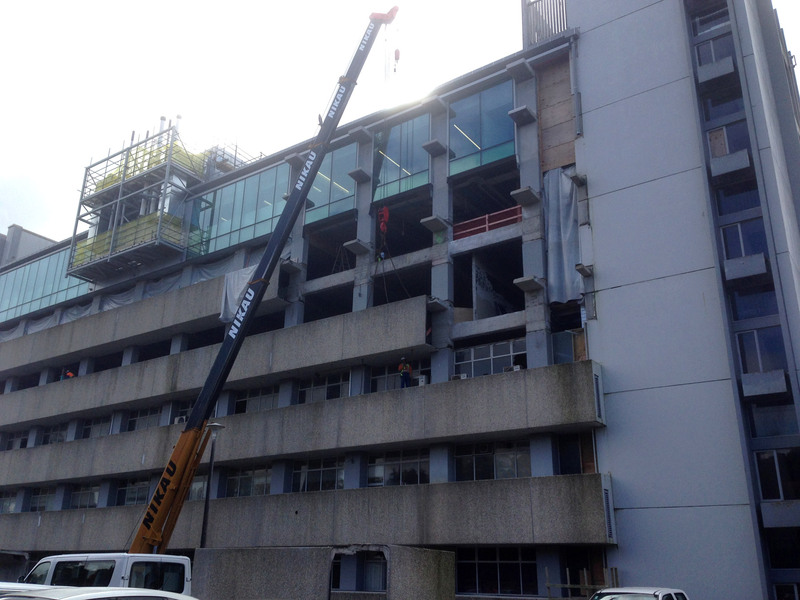 They are in the process of removing the spandrels which enclose the old services, to make way for curtain wall glazing. 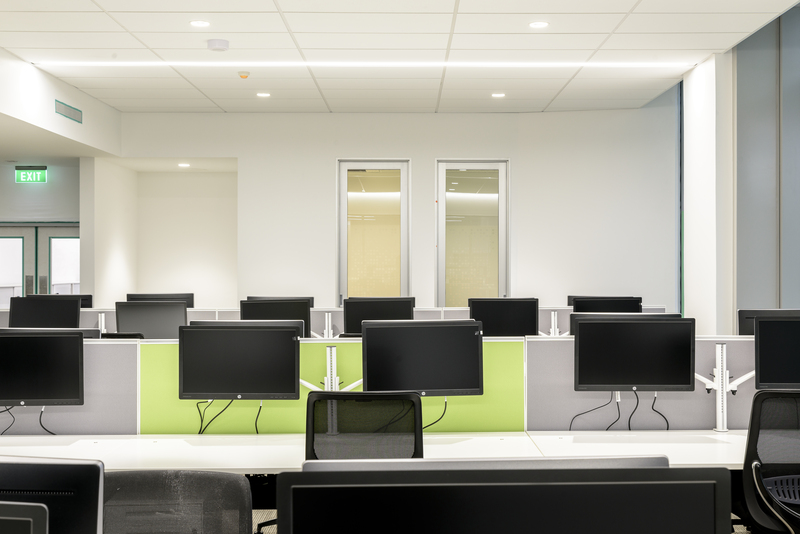 We are delighted that the first stage of the refurbishment at Plant and Food Research in Mt Albert is complete with level 6 opening this week. 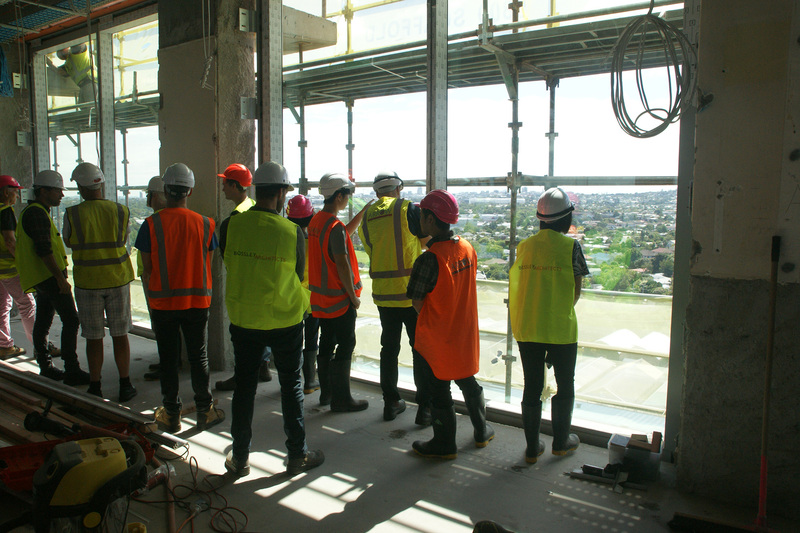 Many thanks to our joint venture partners Labworks for all their valuable input. 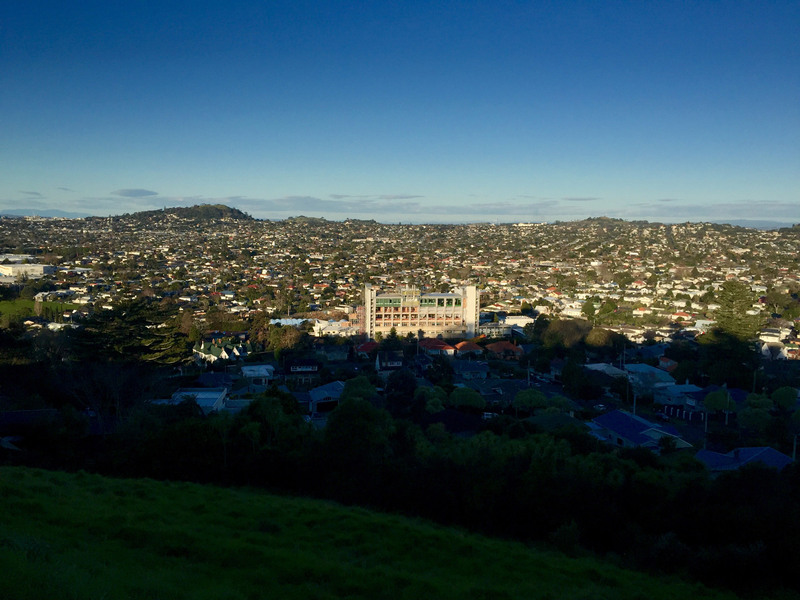 Last week the office visited Plant and Food Research, Mt Albert, where the Hamilton building refurbishment is currently underway, we spied some great views from that height.